The Beaver House Restaurant is located in the United States of America in the State of Georgia in the county of Bulloch and in the city of Statesboro. 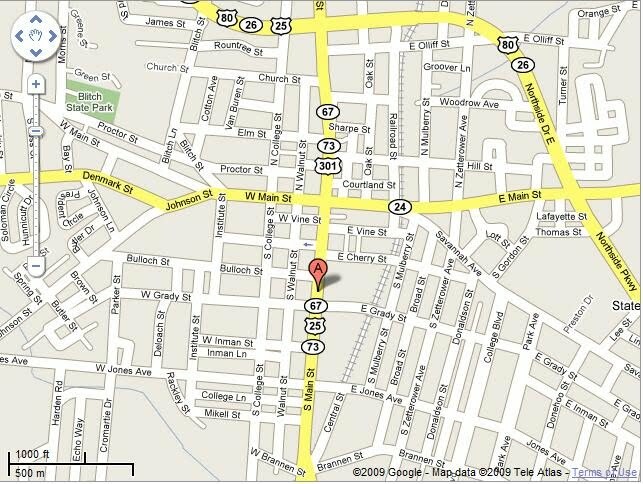 We are just off Interstate 16 about 45 Minutes West of Savannah, Ga. We are about 5 minutes from Georgia Southern University Campus. We really are on Main Street. When I was growing up it felt like the only street. 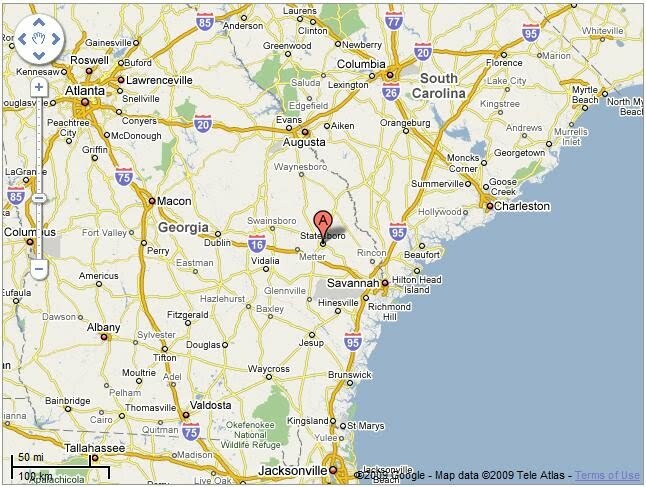 Statesboro has grown a lot since those days. I remember when they said they were going to put in a ";by-pass";. ";Bypass what? "; was the common question among locals. Well the world has found our quaint little town and we are smack dab in the middle of it. 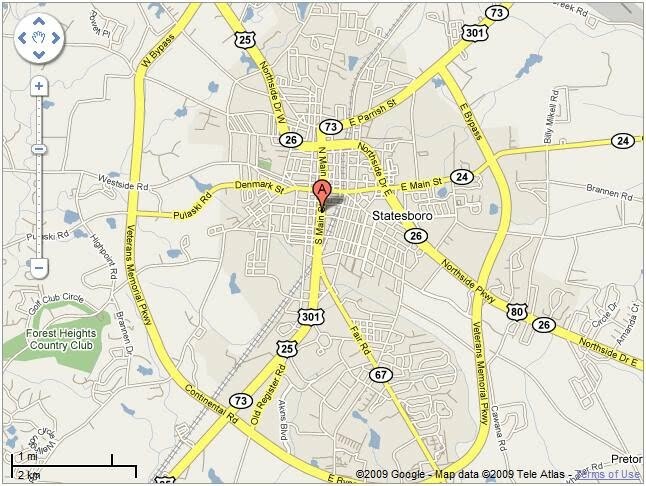 If you are looking for something in Statesboro, try asking,";How far is it from the Beaver House? "; It just may be easier for ya! Exit 127 to Hwy 67.